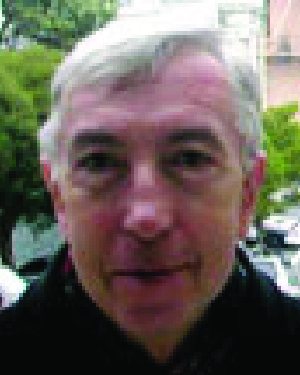 Dr. Yuri Stulov attended the University of Minnesota as a visiting IREX Fellow from 1997 to 1978. While at the University, he focused on African-American studies in order to bring himself up to date with all aspects of American literature, culture, and history. Dr. Stulov credits his time at the University as instrumental in shaping the concept of his major project, the book, "Contemporary African American fiction: from Politics to Poetics to Politics?" which is to be published in late 2005. Dr. Stulov was, until the fall of 2004, head of the American Studies program at the European Humanities University in Minsk, Belarus. This program was the first of its kind in the country. In the fall of 2004, the government of Belarus closed down the university, one of the last surviving private universities in the country. Many faculty left the country at this time, but Dr. Stulov remained and resumed his post as professor of English at the state Linguistic University. He also continues to serve as president of the American Studies Association despite the anti-American environment. Dr. Stulov is described as a "truly interdisciplinary scholar who has an intellectual and conceptual command of several academic disciplines in the humanities and social sciences." He has published widely and is the author of more than 140 publications on questions of contemporary U.S. literature, education, culture, film, and the methodology of teaching English language and literature. Since leaving the University of Minnesota, Dr. Stulov has maintained close ties with faculty and has hosted a number of them as guest lecturers in Belarus. Dr. Stulov is well known in the former Soviet Union for his "tireless efforts to develop and to promote new directions in higher education that seek to bridge the significant cultural, social, and political gaps that still divide the former Soviet Union from the West." In naming Dr. Stulov a recipient of the Distinguished Leadership Award for Internationals, the selection committee noted his remarkable work under the most challenging of circumstances. The committee took particular note of the words of one of his supporters who remarked on Dr. Stulov's humble nature, which has meant that "few really understand how important this man has been, is, and will be in the ongoing efforts to broaden, globalize, and reform higher education in Belarus and in the post-Soviet regions."